A man has died and another is in a critical condition following a shooting outside a nightclub in the Australian city of Melbourne, police said Sunday. 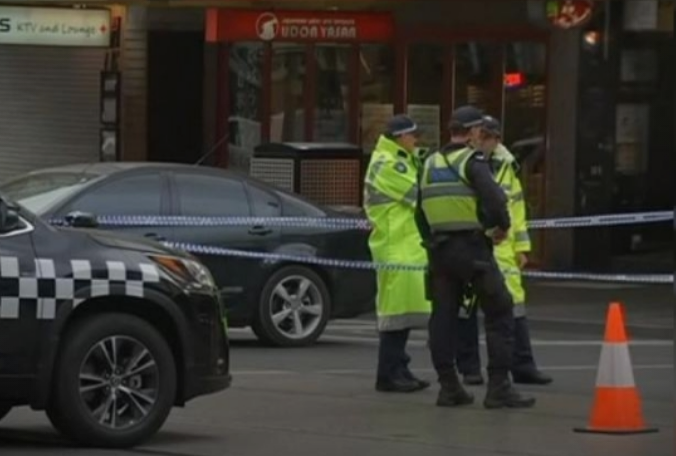 The incident took place early in the morning in Prahran, a suburb in south-eastern Melbourne, Victoria Police said in statement. A 37-year-old man died from his injuries in hospital, police said later. Local media said the man was a security guard. A 28-year-old man was in a critical condition. Two others sustained non-life threatening injuries. “Three of the people struck were employees, security guards, and one person was a patron innocently waiting to get in,” Detective Inspector Andrew Stamper told reporters at the scene. Homicide detectives are investigating. A black Porsche SUV seen leaving the area was later found burnt out in a suburb approximately 30 kilometres away. Police said it might be related to the shooting. Local media said blood could be seen on the footpath outside the nightclub, with bullet casings scattered on the ground. Melbourne’s The Age newspaper reported police were expected to investigate links between the attack and past extortion attempts by an outlaw motorcycle gang on the nightclub.